Happy new week to everyone. I hope your weekend was awesome as mine. We all are aware that major Nigerian Telcos recently revamped their data plans and packages which featured a lot of improvements and affordable alternatives from what we used to get before from these network providers. 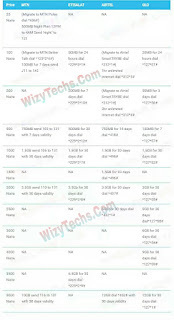 If you are not lucky enough to enjoy the free etisalat 4GB awoof data that many followers of this blog are still enjoying, then you should consider downloading and saving this image i designed for the comprehensive data plans of all networks in Nigeria as of May 2016. Though i noticed that some of the data plans zaps data and surprisingly, MTN have followed suite in the zapping league. 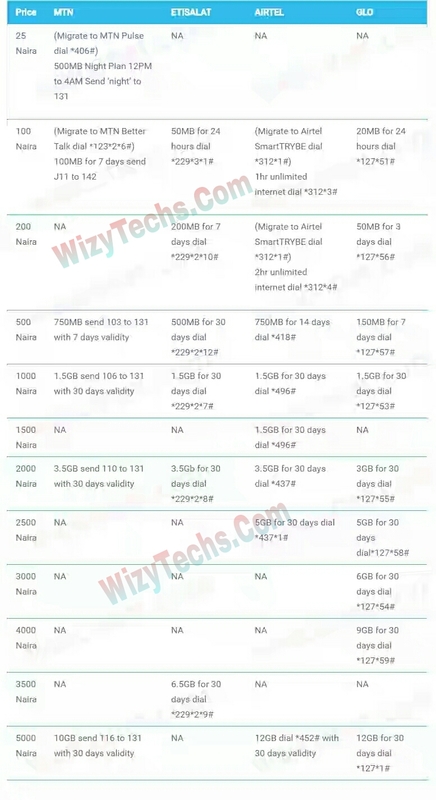 Only etisalat and the airtel 4GB and 3GB for 1000 Naira are exempted.